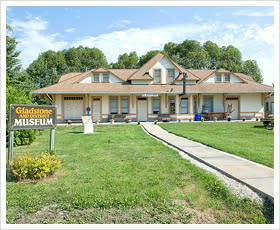 The Gladstone District Museum consists of the old CNR station, a caboose and the original signal Mac's shack and artifacts. The 100-year old Boyd house is refurbished with artifacts of that era. The Legion Room provides an extensive history of the war. 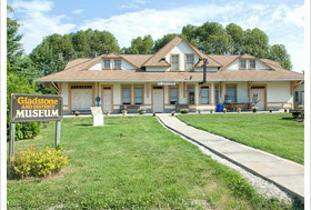 Open May to September, Wednesday to Sunday and Monday holidays 1:30 - 4:30 p.m. Admission charged. Tel. 204-385-2551. Location: CNR building, 6th and Regent near Williams Park.